There are so many benefits of advertising calendars! Here are just a few. Are you looking for an amazing promotional tool for your business, but have too many items to choose from? You are also faced with considerations like pens getting lost, cups getting thrown in a cabinet and Frisbees being given to the family puppy as a chew toy. How can you be sure your brand will be seen every day, while being useful to your customers? Promotional calendars are the perfect option if you’re trying to build brand recognition. There are so many things you can do with them, but the most obvious advantage is the fact that they provide a daily reminder of your business. Let’s talk about some benefits of advertising calendars. There is a need for calendars. Promotional calendars can be fun. You can get really creative when designing your marketing calendars. Some businesses come up with great ideas based on their industry. For instance, a veterinarian might have cute pictures of animals in funny poses for each month. A landscaping company could use pictures of its work throughout the seasons, and even add what flowers to plant and when to plant them for the best results. Photographers can use their own photos for each month and add in reminders of when to schedule holiday card photo sessions. You can talk about the advantages of your business within the pages of your print calendar. Have fun when designing it; this will give your customers something to look forward to in the upcoming months. Calendars are easy to print with an online printing company. Having your marketing calendar printed is as easy as sending your design to your favorite online printing company. Many printing sites have layout guides and even calendar layout services that allow you to build your calendar just the way you want it. There are many different options available to you as well; if the standard size just isn’t your thing, try something out of the ordinary like a 9 x 6 or 12 x 12. Then pick the best finish and other options like hole drilling for easy hanging. You can even use direct mail services to mail to a list of your customers. This makes it easy to create and print calendars that are high quality and fit your budget. Leave a pile of calendars by registers of your favorite businesses for people to take. Send calendars to current customers around the holidays as a “thank you” gift. Take some to your neighboring businesses to hang around their office. Give your calendars away at local festivals, job fairs, and business expos. Most businesses have figured out that the truth is calendars do your hard work for you. When you’re on a budget and you want to be efficient in your advertising and marketing efforts, promotional calendars provide great results. They’re practical, creative, affordable, and long-lasting. When you think about all that calendars have to offer, how can you not be on board? Start creating your marketing calendar now, so you’ll have plenty of time to get them to your customers before the holiday season sneaks up on us all! 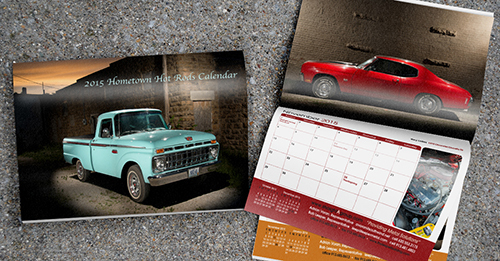 Start designing promotional calendars for your business now.